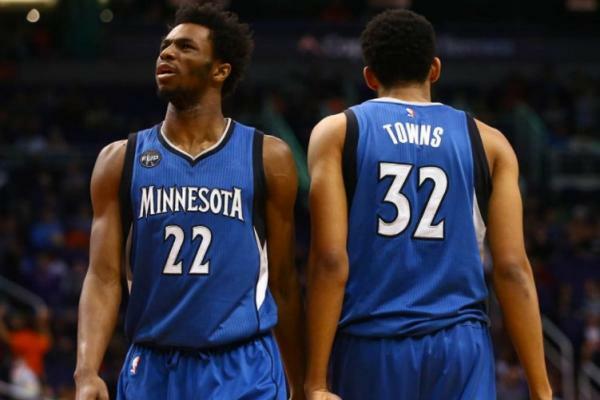 Andrew Wiggins is a party pooper…if you’re an Oklahoma City Thunder fan. The Minnesota Timberwolves’ 22-year-old ruined a magnificent fourth quarter from Russell Westbrook on Sunday night, as well as what should have been a game-winner by Carmelo Anthony. And how: by sinking an actual game-winner just inside half-court. Worst of all (again, if you’re a Thunder fan): Wiggins didn’t call glass on this bank. This is fantastic. We all know Wiggins didn’t call game (or glass). This isn’t the type of shot on which you make that declaration. It was a borderline desperation heave. The Timberwolves were down by one, they were out of timeouts, Towns had just gotten away with a pancake screen and, most notably, the shot was attempted from so far away it would have been utterly foolish and cocky of Wiggins to make such a proclamation. Like, Stephen Curry himself wouldn’t have even called game in this situation. No matter, though. This moment reinforces Wiggins’ offensive value. It doesn’t validate his five-year, $146.5 million extension in full; he’s still sort of a mess on defense. But it does help prove he’s more of an offensive killer than people think. And if this shot doesn’t do the trick, the fact that he’s averaging 24.7 points on 49.1 percent shooting (42.1 percent from three) absolutely should.